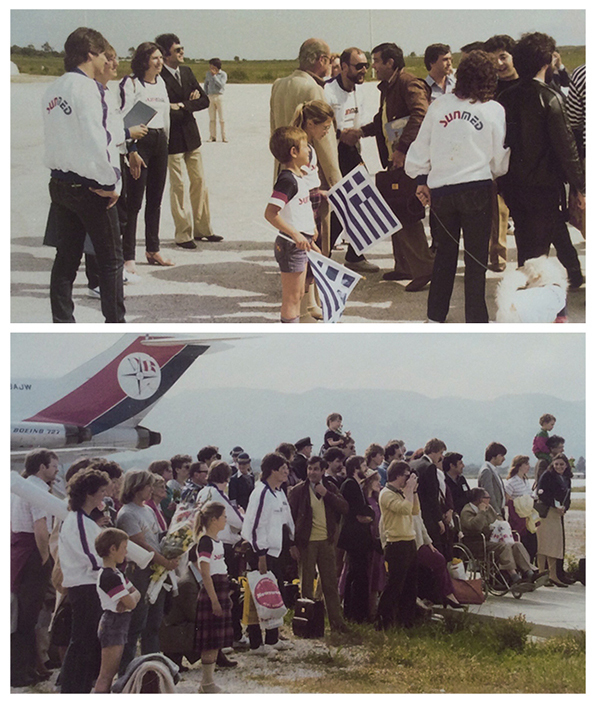 During the 80s I worked in the Greek islands for a fantastic little company called Sunmed. The English bosses were gorgeous, mad dog lovers, as were most of my rep friends. 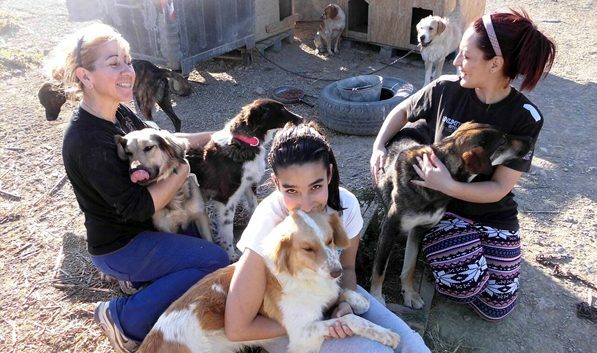 Several of us had adopted rescue dogs and our dog-loving guests were wonderful, helping us by clubbing together to help some of the other animals. The arrival of dog goodie parcels, throughout the season, was normal and much appreciated. 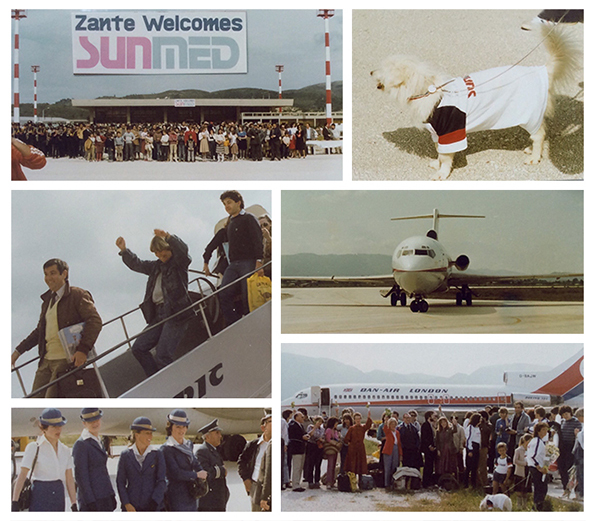 Sunmed had just launched the first 3 weekly international flights to Zante and the lovely staff at the airport allowed my little rescue dog airside with me. 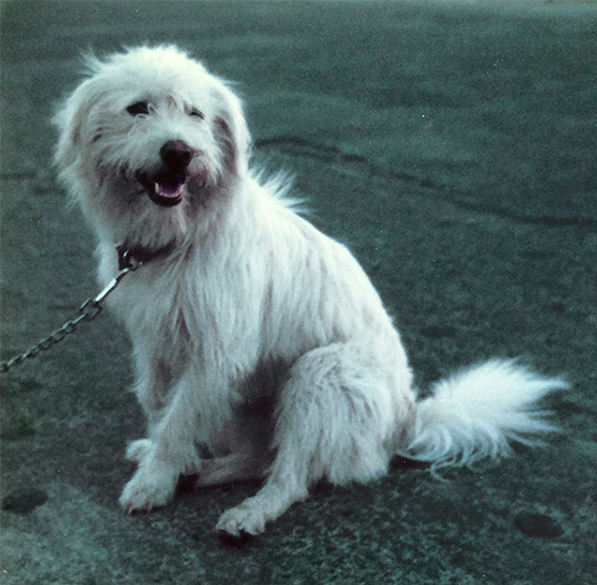 Great rescue PR from the moment Foxie greeted our guests off their Dan Air flight from Gatwick. Michel and I have founded Snowbizz. We also have a travel agency, Sunbizz, specializing in last minute Teletext holidays to Greece. We’re a tiny team of 9 but are easily competing with the big boys on Teletext and crazily, we’re up there with the best and in most tour operator’s top 10 travel agencies for Greece. No-one can believe it. Pre-internet, our working life is mental. Working in shifts, we are open 7 days, not quite 24/7 – just feels like it. We are permanently glued to our headsets as the phones never stop ringing. The only time we ever stop is when one of the team’s animals or children are sick! My old travel company, Sunmed, has merged and is now a household name. 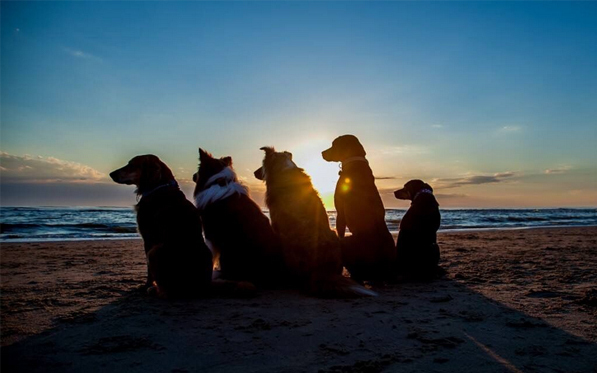 Many other old Sunmed friends have gone on to run their own travel companies. Sunbizz didn’t need Google to find the best travel deals – we had our friends telling us! Last minute we are selling quality holidays at silly prices. It was win-win for everyone. It was frantic but with great memories. Early every morning we got a fax (yes – a fax!) sent to Fiona, our reservations manager. Tour operators would indicate what was still available which we could then book via Viewdata. This was a pre-historic, but clever, pre-Google app designed to help travel agents find the last beds and flight seats. Young travel agents please never, ever moan about your internet connection. Viewdata had a mind of its own and froze constantly – usually just as you were bagging the last seat! 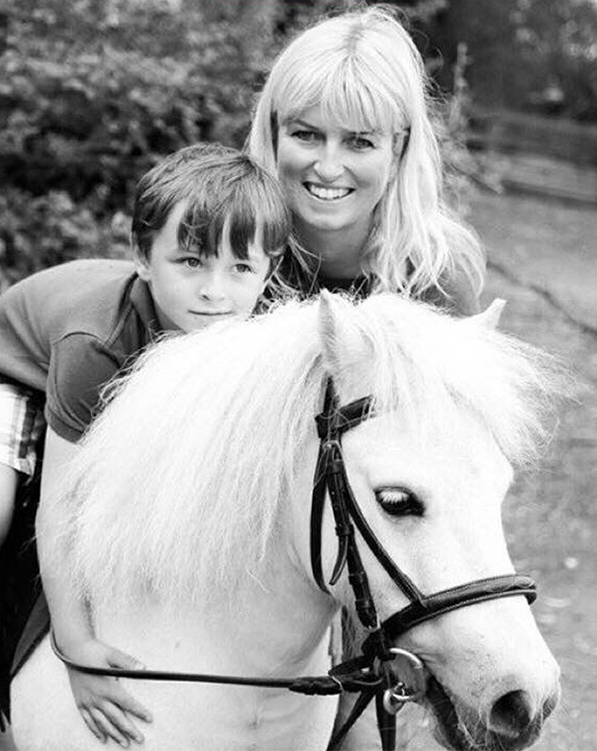 Fiona and I became re-connected when her son, Ollie, came to learn to ski with Snowbizz. Reminiscing with Fiona about our Sunbizz days and dog rescue stories from Greece, we sadly realised that despite some fantastic volunteers, nothing had changed in the last 30 years. And tour operators would still want to advertise their empty seats! We came up with a unique idea and in March 2017 the Starlight Barking Trust received charity commission status and will launch their new website Travel Chest later this year. 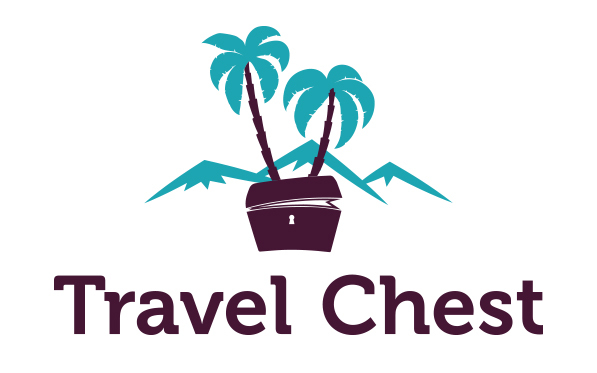 Travel Chest is a one stop holiday shop where holiday makers can check out all the best travel deals and find out more about they can help with welfare and environment initiatives. 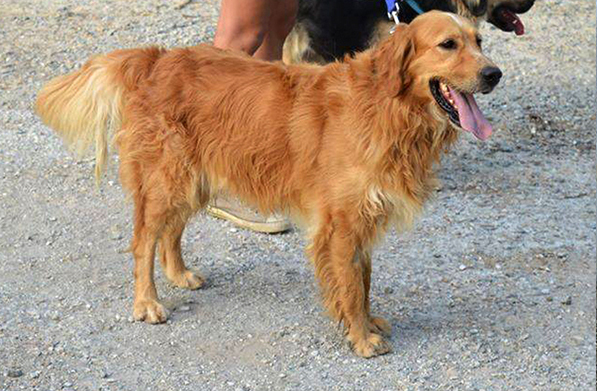 You can even adopt a dog or two! But the best bit is that all our sponsorship will be supporting both children and animal welfare projects from the charities which we have teamed up with. To all our old guests, we can’t thank you enough for your past support. We now invite you to join us in our newest and most exciting venture. There are hundreds of ways which you can help and if you’d like to know more about how you can get involved from the outset we would love to hear from you: wendy@snowbizz.co.uk. The more supporters. The more sponsorship. Please help us together make a difference!